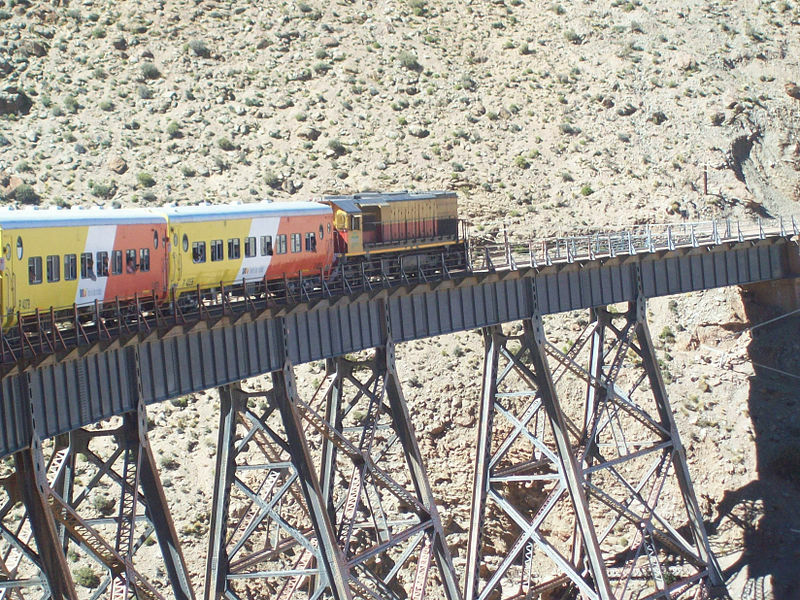 The tren a las nubes, or ‘train to the clouds’, is one of the highest railways in the world, at over 4,200 meters above sea level, and used to serve as an important economic transport route between the Chilean and Argentinean Altiplano. Nowadays it’s a popular tourist day trip from Salta, departing first thing in the morning and returning in time for an Argentinean steak dinner! 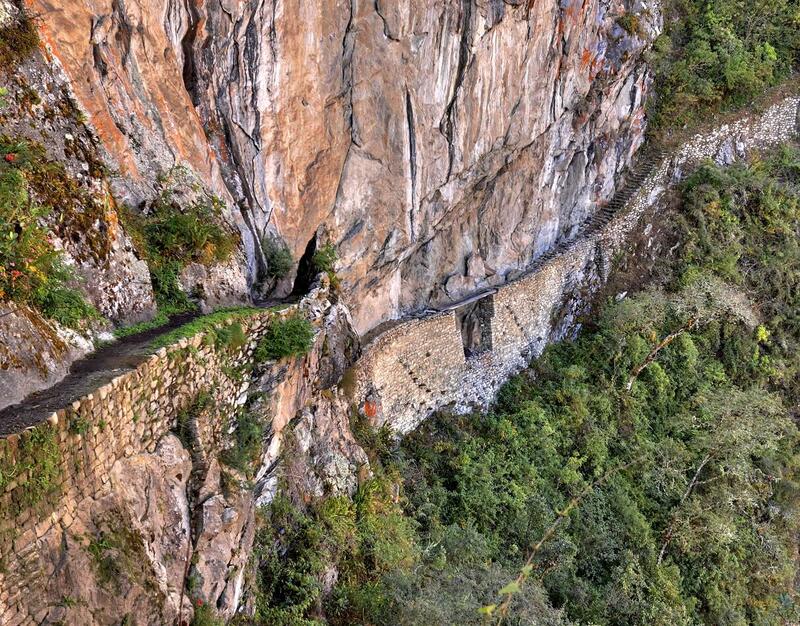 You’ll have conquered your vertigo by the time you reach Machu Picchu! Most people planning to trek the Inca Trail are more worried about their physical fitness levels than the risk of getting vertigo, but parts of the trail involve high, narrow ledges and steep stairs. Machu Picchu and Huayna Picchu are the same, with plenty of sheer drops and dizzying views, which are made worse by the crowds of tourists jostling to take the perfect photo. It might sound obvious, but the key here is to make sure you’re well acclimatized before you begin the trek to avoid dizzy spells and light-headedness. There will be oxygen available should you need it, and don’t forget, at over 4,000 meters above sea level your body will feel the effects of the thinner air! The Casa del Arbol seismic monitoring station is a simple wooden tree house overlooking the 5,000 meter high volcano of Tungurahua, just outside the town of Baños in Ecuador. The tree house has become famous for it’s ‘swing at the end of the world’, which creates the illusion of swinging out into a void. The swing is a crudely-made wooden seat with rope handles, although a new “seatbelt” has recently been added, which offers little in the way of protection. The views from Casa del Arbol are breathtaking, but the swing itself is more of an optical illusion than the adrenaline-pumping ride it appears to be in photos, as there is actually a slopping hill below it which would prevent you plummeting into the canyon. Nevertheless the photos will scare your mum, so it’s a great one for the bucket list, and one of our favourite vertigo-inducing adventures in South America! If all of that weren’t bad enough, most of the road is only wide enough for one car, so it gets particularly vertigo-inducing if you happen to pass another vehicle on the way down. 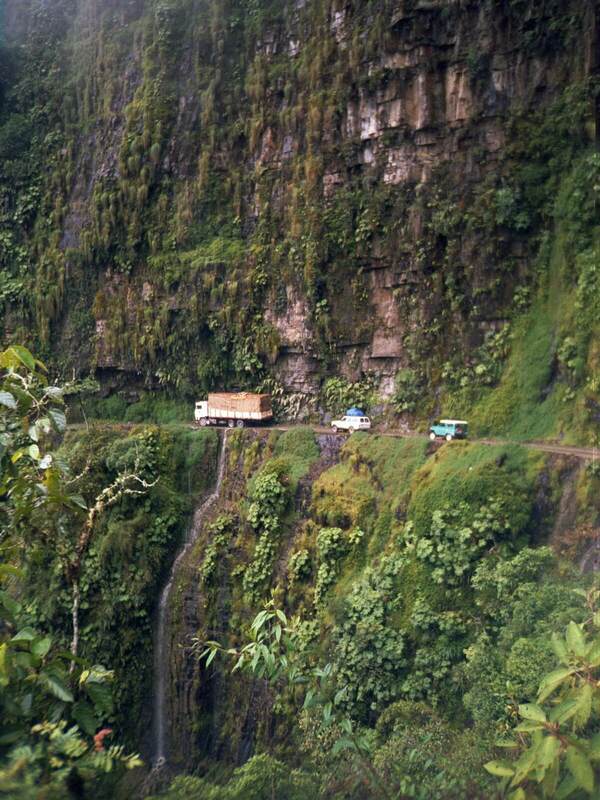 Confusingly, unlike the rest of Bolivia, you have to drive on the left hand side of the road. This is so that the driver heading downhill has a better view of his wheels and the terrifying drop to the side of him. Sound familiar? That’s because the Top Gear team made the journey during their Bolivia special! Although spending the night in a glass pod suspended from a cliff is not everyone’s idea of a good night’s sleep, it’s definitely not your usual hotel accommodation! 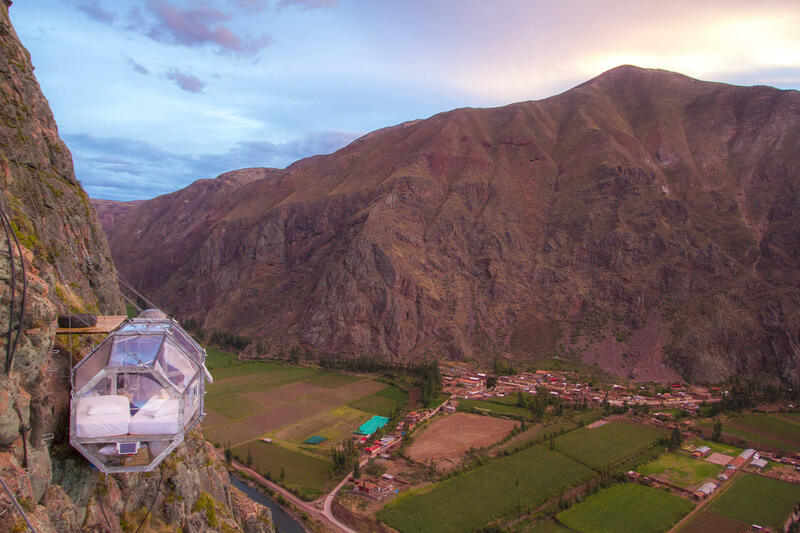 Skylodge compares the experience to sleeping in a condor’s nest, giving you the best views of the Sacred Valley, in a remote, hard to access location. The three pods are located just out Ollantaytambo, en-route to Machu Picchu, and to access them you either have to scale the 400 meter cliff with climbing gear, or hike up the mountain and then take a zip-wire. An alfresco breakfast is also provided, just make sure you don’t drop anything! It’s safer than it looks, honest! 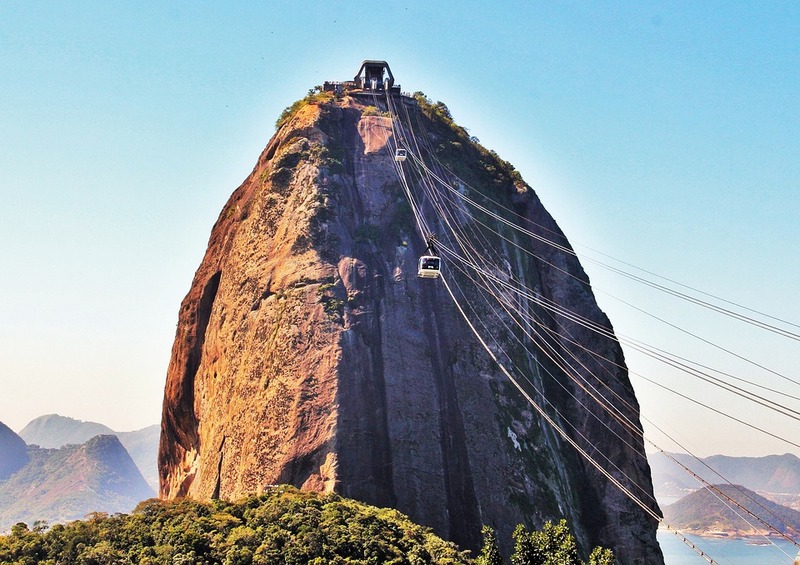 It may be one of Rio’s most popular attractions, but that doesn’t mean getting to Sugarloaf Mountain is a walk in the park! The cable car system takes you along a 1,400 meter track, in a glass pod which can hold up to 65 people. You have to change lines halfway up, at Urca Hill, before you reach the peak of Pão de Açúcar, rising 400 meters out of the harbour. Thankfully, there have only ever been a couple of accidents involving the cable cars, neither with any fatalities. These incidents involved one of the cables snapping, causing the car to be stuck between the mountains for a few hours. So, although the ride isn’t too much fun for those with a fear of heights, it’s perfectly safe, and the views from the top are out of this world! 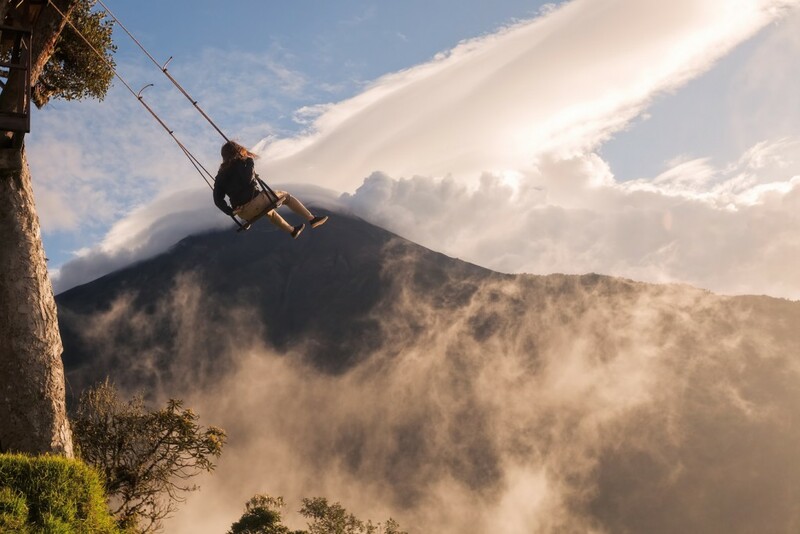 For those who prefer their vertigo-inducing activities to be a little more extreme, South America has a great deal to offer. From paragliding over Lima, to sand-boarding in the desert, and more bungee jumps than you can count, this continent is full of thrills! A tailor-made holiday in South America is a great way to pick and choose exactly the kind of tours and activities you want from your trip. 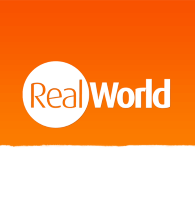 Next post How Safe is Rio de Janeiro?